For more information please contract Mike Bogan 0431 114 219. 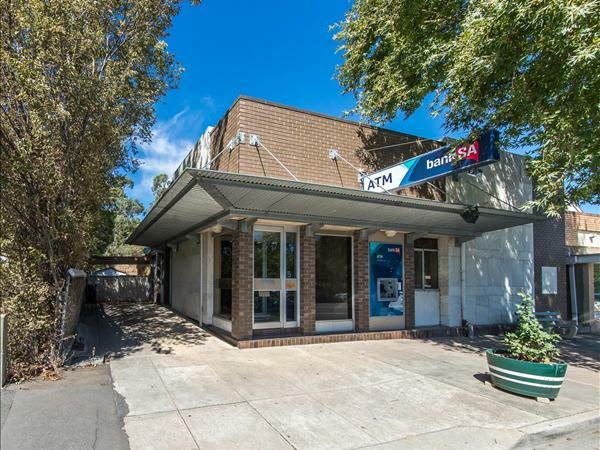 Centrally located in the beautiful Barossa Valley tourist town of Angaston, is this landmark bank with residence. Offering great potential and many uses, the unique marble façade, large bank-vault and contemporary square lines is perfect for an industrial-retro styled design to suit office suite; retail-showroom; hospitality or tourism stcc. Easily segregated, the residence has 2 bedrooms and 2 living areas for owner occupier or tenancy options. 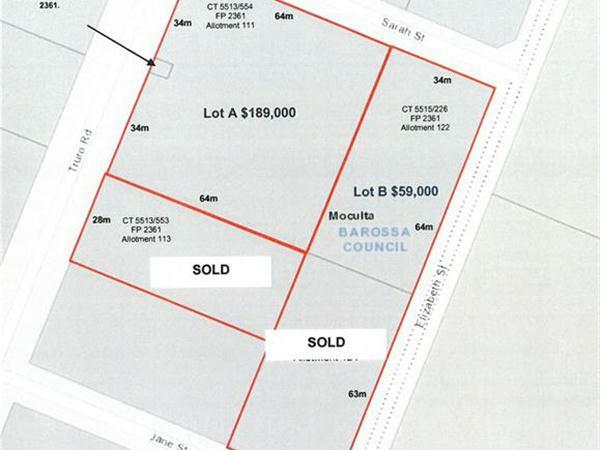 A large allotment of approximately 1114sqm allows for rear off-street parking. 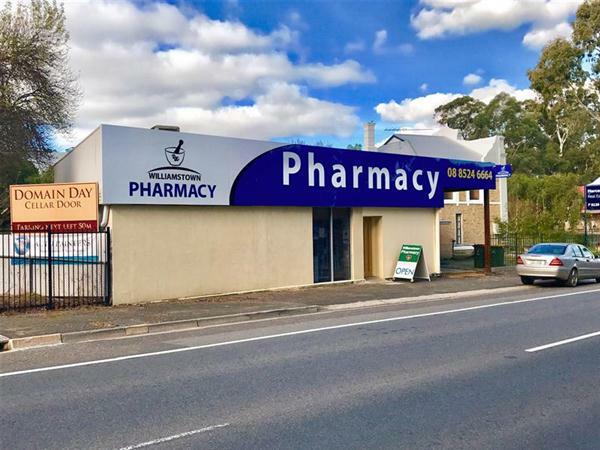 Amongst popular eateries & stores, is this ideal site for your retail business, consulting rooms or offices (subject to council consents). 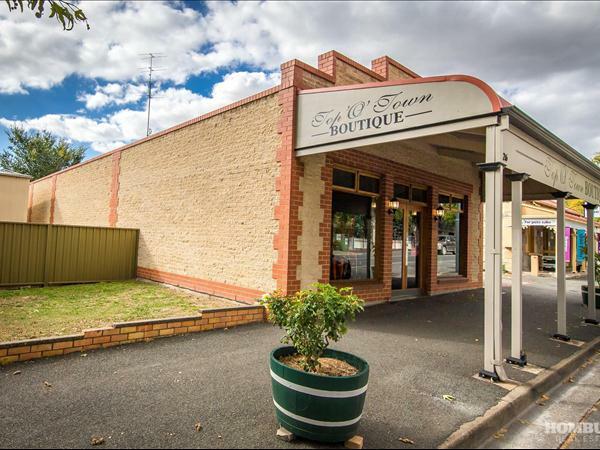 This modern facility, offers 218 sqm of floor space, large double windowed showroom, wide driveway access to rear off-street parking for at least 8 cars on this 576 sqm site. Well maintained, the building presents appealing heritage façade to meet the streets character Having been originally used as an electrical goods retailer, there are dozens of power points throughout & multiple overhead light sources and the facility is equipped with reverse cycle air conditioning. The property’s side driveway has width enough to allow access to the rear of the building where a roller door provides direct access to the storeroom. The area also includes a large unisex wash-room with disabled access and a small kitchenette. This site is ready-to-go, well equipped & well presented. Here is an opportunity to take your own business to a healthy new level & operate from superior premises in an unbeatable location. For those with a vision for investment, this well placed, high quality site has all the factors in place to attract a desirable long-term tenancy or owner occupier. Currently tenanted on a monthly basis, this attractive property will suit the studious investor/business operator desiring a presence in this bustling tourist town. To confidentially discuss this investment opportunity please contact David Braunack of Homburg Real Estate on 0418 841 349. Situated in a quiet country town on the edge of the Barossa Valley, 10 mins from Angaston in a semi-rural setting, is this significant land holding previously operated as the Moculta Primary School. Lot A - $189,000 (GST Exclusive) has substantial character with a stone building, just waiting for great ideas, set on a large block some 4330m2 (2 allotments). Lot B - $59,000 (GST Exclusive) fabulous 2270m2 allotment situated in this quiet little hamlet, just 10kms from Angaston. Very affordable ready for you to build your dream home (stcc) and start living an enviable country lifestyle. Or, both lots can be purchased for $216,000 (GST Exclusive). Bring your imagination and consider the vast array of potential uses. With a number of allotments and titles, boundaries can be reconfigured to create a number of possible layouts. To arrange your private inspection contact us now.